In the upcoming remake of The Secret Life of Walter Mitty Ben Stiller plays a character who often finds himself slipping into the world of his own imagination and seeing his own life as he has always wished it could be. 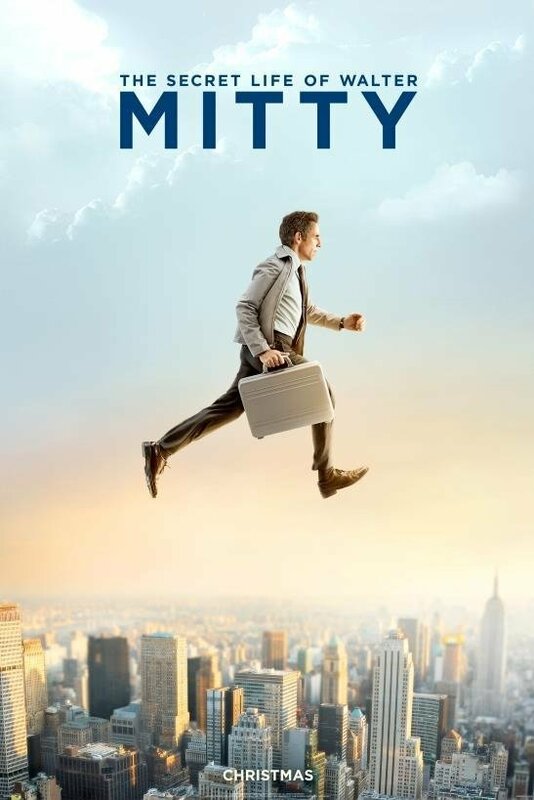 Judging by this new poster for the film, released by MSN, it would seem that part of his dream world involves him having the ability to walk on thin air. I have been looking forward to this film ever since April when 20th Century Fox revealed a solid 10 minutes of footage at the annual CinemaCon expo in Las Vegas, but like many of you I was also absolutely blown away by the trailer that was released at the end of last month. Featuring the song "Dirty Paws" by Of Monsters and Men and very little dialogue, the preview wasn't so much about explaining the film's story as it was about establishing what we can expect from the movie visually - and it looks like it is going to blow our minds. In case you missed it the first time, or just want to see it again, you can watch the trailer below. Based on the short story by author James Thurber and adapted by Steve Conrad (The Pursuit of Happyness), the film centers on an average, middle-aged guy named Walter who, when he's not drifting off into fantasy land, works a job at Life Magazine. When he discovers that an important photograph has gone missing, however, he makes the decision to hunt it down, which in turn leads him on a globe-trotting adventure. Kristen Wiig stars as Walter's co-worker and love interest Cheryl, while Adam Scott, Sean Penn, Kathryn Hahn, Shirley MacLaine and Patton Oswalt also co-star. In addition to spending time in New York the production also did on-location shooting in Iceland, which is the source of all of the absolutely stunning visuals you see in the trailer above. The Secret Life of Walter Mitty looks nothing like anything that Stiller has ever done and a filmmaker like him stepping into new territory is definitely an exciting prospect. The new film appears to be completely different tonally from the director's last two films - Zoolander and Tropic Thunder - but I'm curious about how the movie will blend both the comedy and drama elements. Sadly we still have a long time to wait until we find out the answer, as the film won't be in theaters until Christmas Day, but from the look of everything we've seen thus far it should be worth the wait.